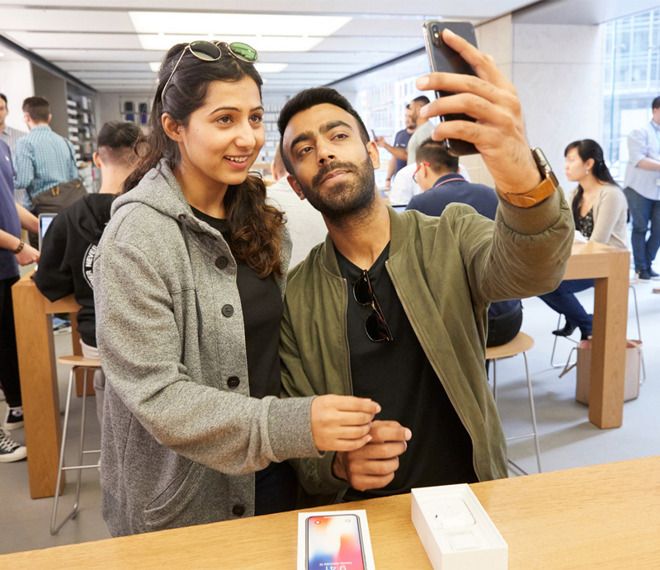 Apple's first retail sales of the iPhone X are now underway, having begun at stores in Australia and New Zealand. CEO Tim Cook tweeted "a big thank-you to all our customers in Sydney," sharing a photo of two of the first customers, both of whom bought a pair of iPhones. The iPhone X is an expensive prospect in Australia, starting at A$1,579 or about $1,218 —well over the $999 it costs in the U.S.
About 400 people lined up outside Apple's George Street store in downtown Sydney, according to Reuters. Sales in fact began there while Apple while was still announcing its Q4 financial results. 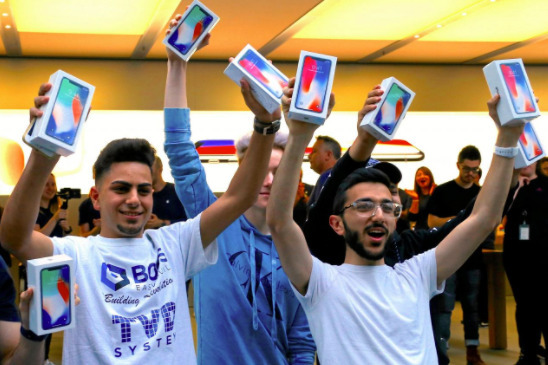 The first George Street buyer was reportedly an 18-year-old man, Bishoy Behman, who camped out at the shop for a week and admitted he was only planning to resell the phones at a price of A$3,000 ($2,314) each. Much is riding on the iPhone X. Apple has marketed the product as the future of the iPhone, and while the iPhone 8 and 8 Plus helped propel sales to 46.7 million during the September quarter, launch-day lineups for those devices were sometimes small or non-existent. It's believed that many people wealthy enough to afford the iPhone X were waiting for online preorders to start on Oct. 27, or this Friday's retail launch. Earlier production bottlenecks are expected to keep supplies tight until 2018, but some online shoppers have reported improved shipping times. In Apple's Q4 call Cook said that the company is growing output "week by week," and trying to ship as fast as possible.